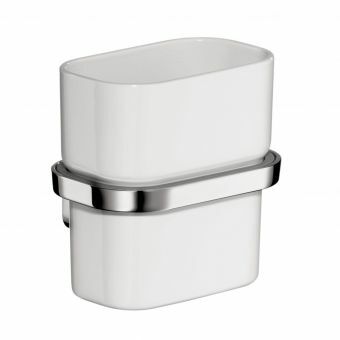 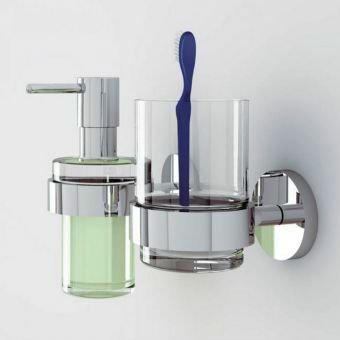 This stylish tumbler holder from the eminently fashionable Moll Collection from Keuco not only sits in perfectly with other items from the range, but eliminates basin-side clutter and keeps the space hygienic. 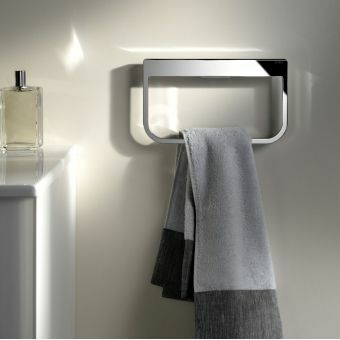 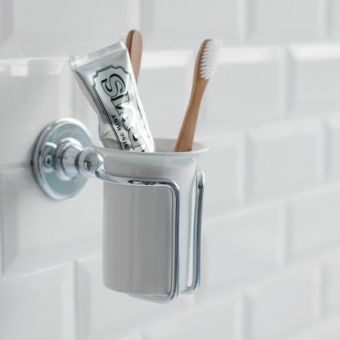 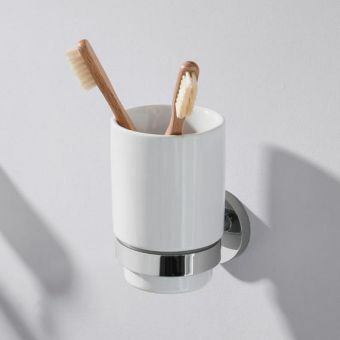 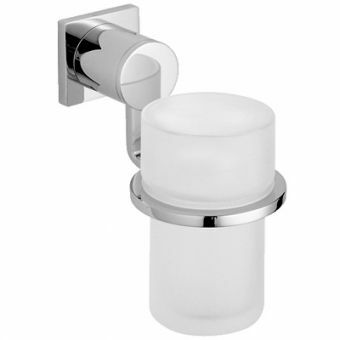 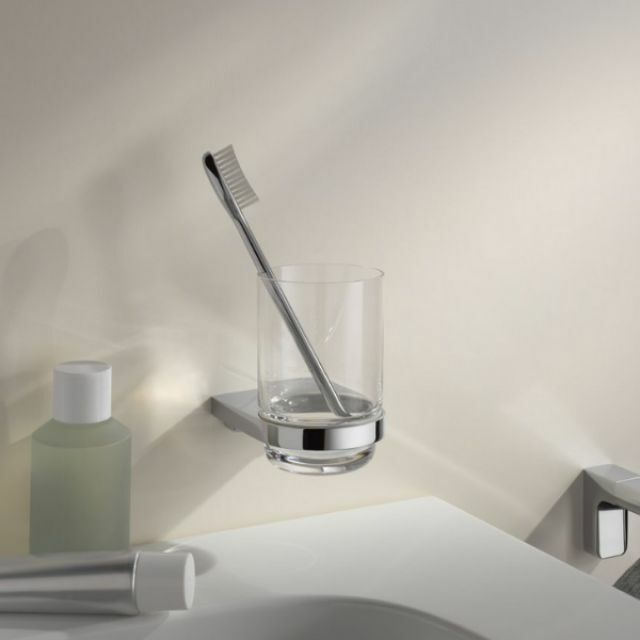 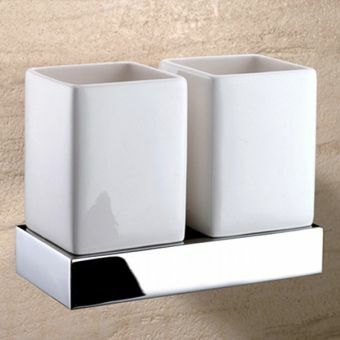 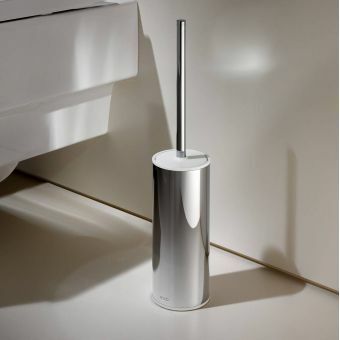 The chrome-plated holder provides the ideal platform as an alternative to placing a tumbler or toothbrush holder on the basin, while the glass tumbler itself perfectly complements the shining metal. 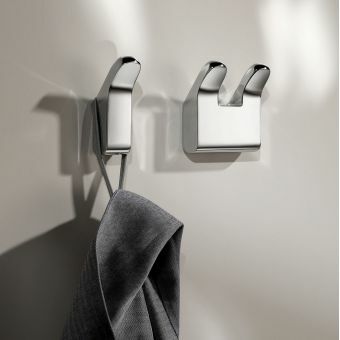 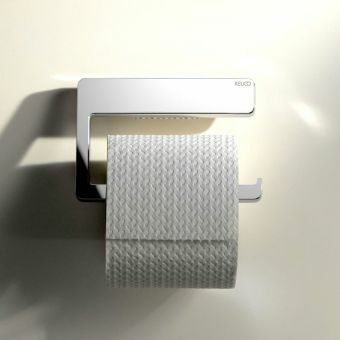 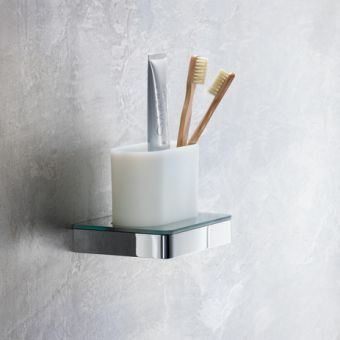 Wall-mounted next to the wash area, it adds a level of simple sophistication and utility to the bathroom space. 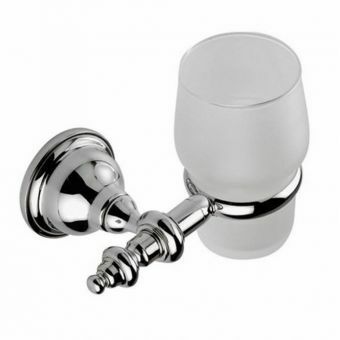 For matching pieces, please see our full range of **Keuco Moll** items. 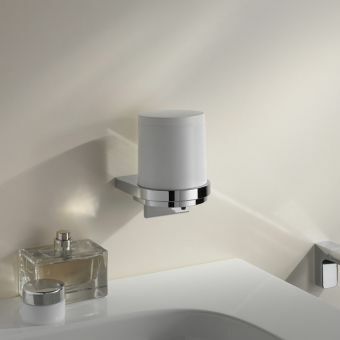 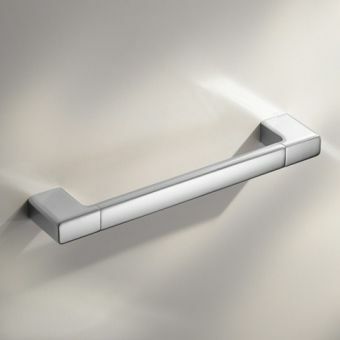 At just 74mm across and with a projection of just 105mm, this attractive set a small but significant detail in rounding off the bathroom as a cohesive whole.